Home/Corporate News, News, Newsletters/Mark Stevens coming to Osaka, Japan! 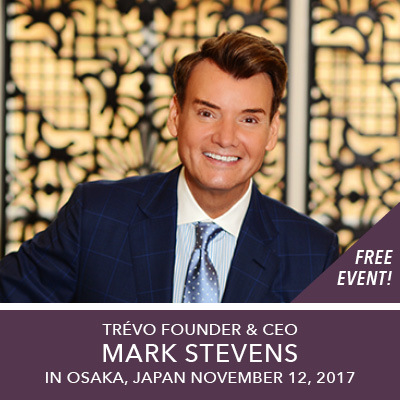 Join Mark Stevens, CEO and Founder of Trévo, in his latest global round up in Osaka, Japan! Mr. Stevens will be talking about the Trévo product, the Trévo opportunity and what is Trévo as a Global Company.